We all known that for some clowns aren't the happy, cheerful and goofy entertainers that they seem to be, in fact for those with Coulrophobia they can be sinister, frightening and something to be avoided at all costs. Now imagine the thing you fear most appearing as a face on the belly of a pregnant woman, an image which usually represents the ultimate in innocence and joy. 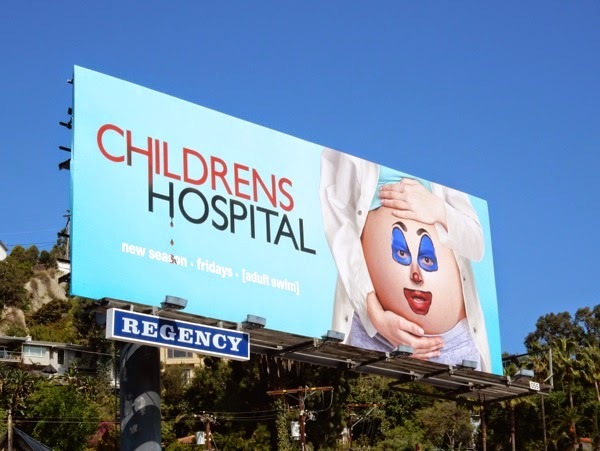 This season six billboard for Adult Swim's medical parody series, Childrens Hospital (which is in no way connected to L.A.'s dedicated Children's Hospital), is the most unsettling to date for many reasons, but there's no denying it's going to turn a few heads. 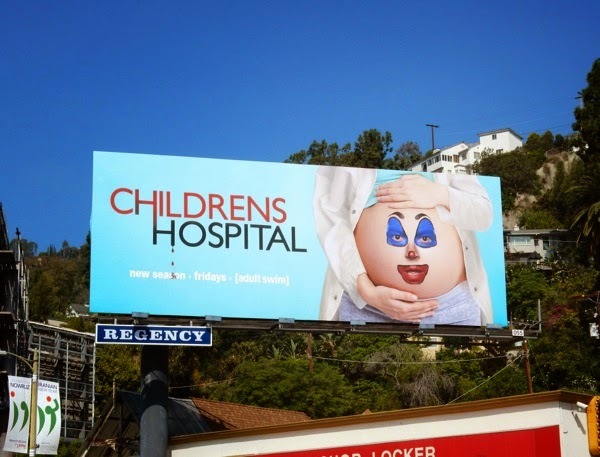 If you're a fan of Rob Corddry's Emmy Award-winning spoof, be sure to compare this new outdoor ad to the previous season promo billboards for Childrens Hospital. 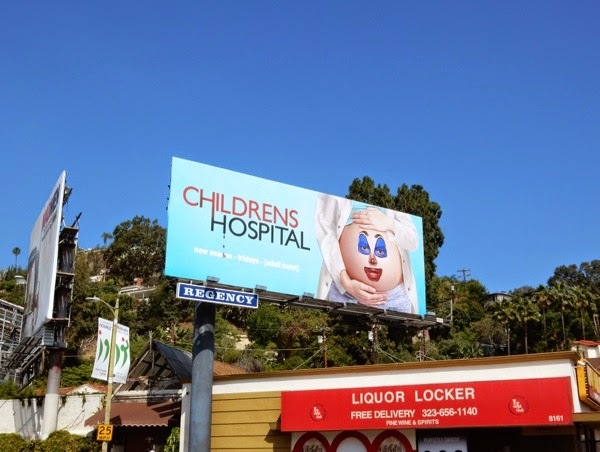 This attention-grabbing sixth season billboard was spotted along Sunset Boulevard in West Hollywood on March 19, 2015. 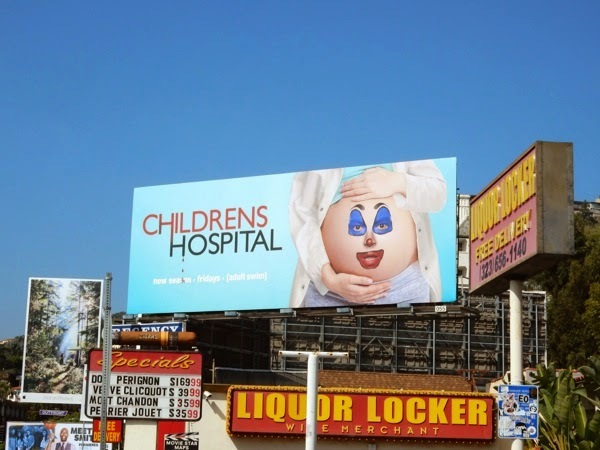 Laughter may be the best medicine, but we're sure this billboard may still give some people a fright.